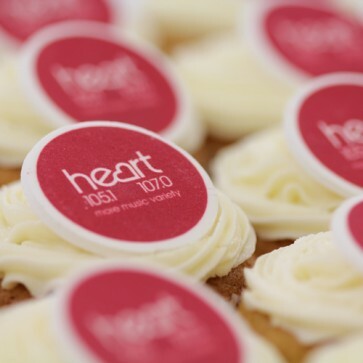 Order beautiful branded cupcakes online - simply choose your flavour and upload your company's logo. The image will be printed on high quality edible discs (not floppy rice paper!) and the cakes will be delivered by courier. 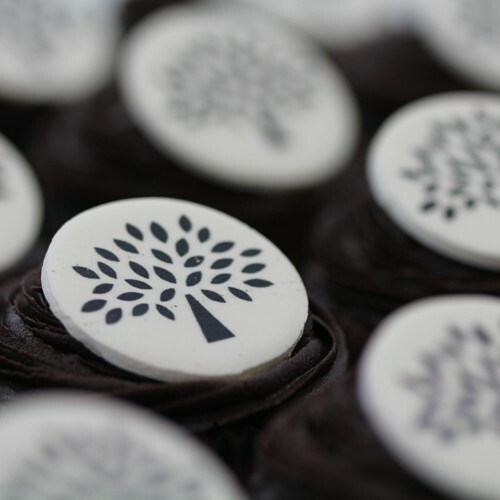 Our delicious customised logo cakes have impressed 1000s of clients and colleagues. For larger orders or for special requirements please do not hesitate to contact us using our Enquiry Form or by phone or email. Our corporate online cupcakes are of outstanding quality and come with exceptional service. We have a longstanding reputation for producing branded products of exceptional appearance, flavour and design for all manner of events, including product launches, promotions, competitions, premieres and internal events. 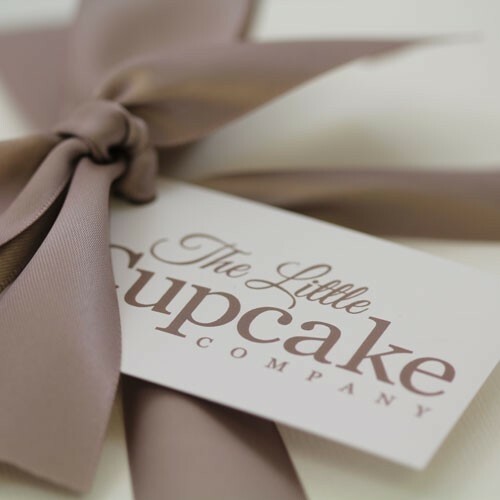 If you require bespoke custom coloured ribbons, special flavours or extras such as product samples or promotional vouchers, or delivery by direct courier service, please do not hesitate to contact us. Please allow two days for your order to be delivered.